You’re looking at the latest Multi-Region Blu-Ray Player from LASER – the undisputed bestselling Multi Region Blu Ray player in Australia. Like our previous Blu Ray players, you can play discs or media from any country and get great multimedia versatility by playing files from a USB stick or USB HDD. The LASER BD3000 also suits the home theatre enthusiast with Dolby Digital, DTS and cinema quality 24fps playback for the ultimate home theatre experience, showcasing unforgettable unsurpassed digital surround sound. The built in media player allows you to play and view photos, listen to music and watch videos, simply by connecting your USB or hard drive. Alternately, you can connect the BD3000 to your network with the LAN connection (RJ45) and use DLNA to play content from other DLNA devices (like a NAS drive or TV or PC) in your household - this means you have the one player for all your needs, how’s that for convenience! 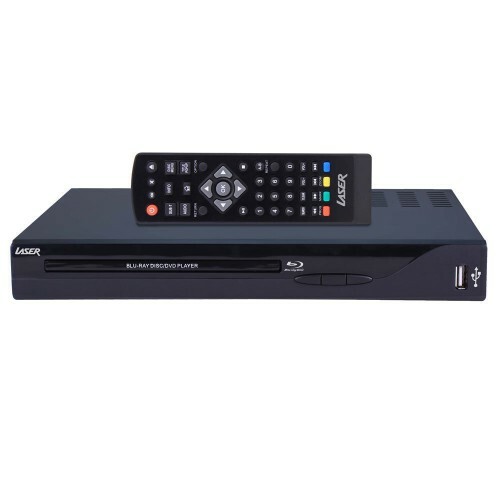 You can also upscale your favourite DVD movies, the BD3000 upconverts the input signal from normal for sharper resolution and better video quality. So, what is the catch with this CLEARANCE stock? "CLEARANCE" goods are those which from time to time may have been over purchased and retail trade partners were unable to take the extra inventory for their promotion/s; a special deal was organised with suppliers but the quantity was not enough to distribute through retailer channel; the retailer may have returned stock that hasn’t sold through in a set period of time (called stock rotation). Such stock may have retailer security tape or markings still on the packaging for example and perhaps some slight soiling and/or marks on the packaging; the major proportion of goods have been unused and unopened, however some may have minor blemishes on the actual product even though the utmost of care has been taken during processing. These products come with full 90 day LASER warranty from the date of invoice and full accessories. Click here for our full Clearance product Warranty Terms.